Our parish is part of the Catholic diocese of Nottingham which covers most of Derbyshire, Leicestershire, Rutland, Nottingham and Lincolnshire. 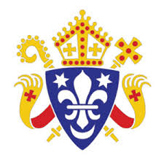 The official web site of our diocese gives full information about all our parishes, schools and clergy as well as about organisations and events. This website has lots of information about what is going on in this country. Missio is the Catholic Church’s official charity for overseas mission. Missio empowers local people to form and sustain communities of faith and trains future leaders so that the vital work of the Church in the world can take place. In England and Wales funds for the Missions are collected through the famous red collection boxes. These can be found in 170,000 homes and they have helped raise millions of pounds for the missions. Click here to visit the website or here if you would like to have a box. Faith in Families is a registered charity and voluntary adoption agency with a small dedicated team of adoption specialists, social workers and support staff. It is based in Nottingham and works throughout the East Midlands and beyond to help children find new homes; they also offer adoption support services, volunteering opportunities and training and consultancy programmes. The Nottingham Diocesan Catholic Youth Service provides opportunities for young people to discover community, come to a friendship with Christ and a deeper awareness of themselves. 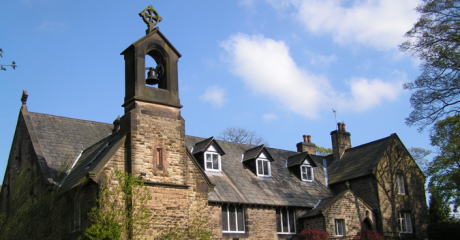 Set in the Derbyshire Dales, The Briars is the residential youth centre for the Roman Catholic Diocese of Nottingham. The Youth Ministry Co-ordinators, together with a team of trained volunteers aim to create opportunities for personal and spiritual development. The day to day running of the centre is covered by administrative and domestic staff. While primarily a centre for young people, The Briars offers the opportunity for people of all ages to come away from their usual environment for a period of reflection and spiritual renewal.